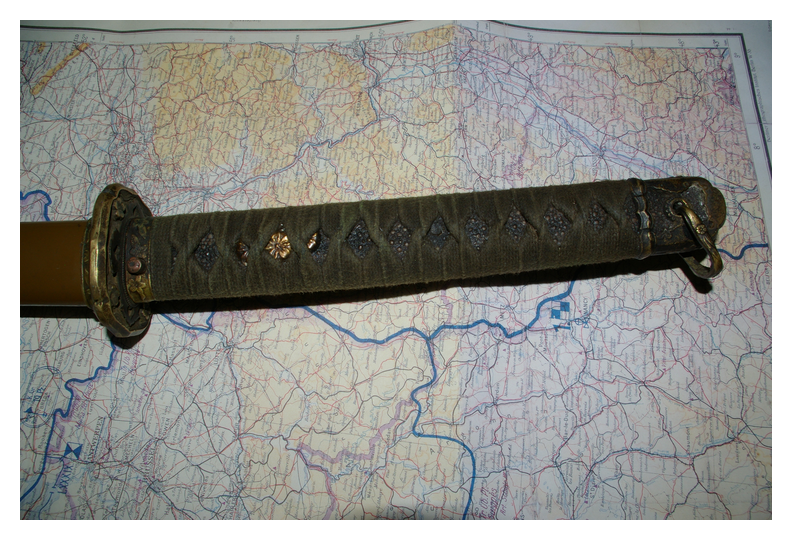 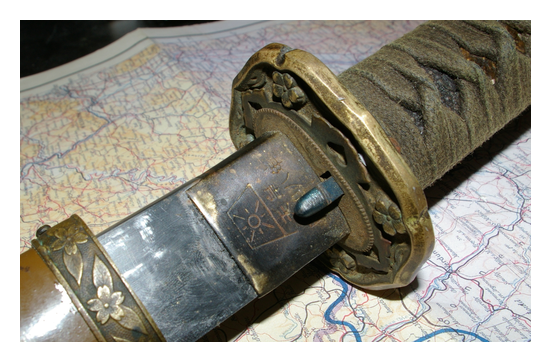 This sword, by the manufacturer Weyersburg, Kirshchbaum & Company of Solingen, Germany (often referred to as WKC), was issued to German Army officers. 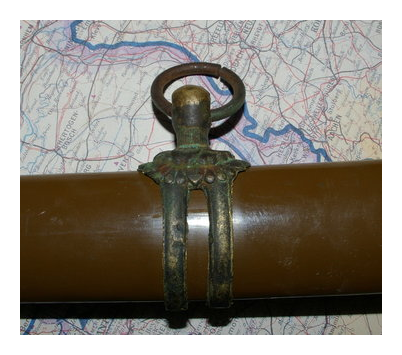 This type is known as a “doves head” type to distinguish it from a “lions head” model. 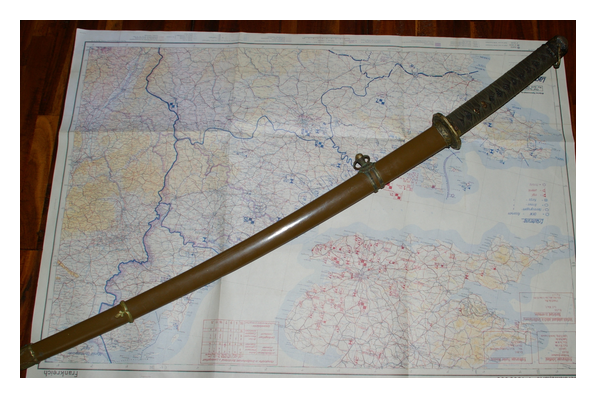 This is a commissioned officers katana Type-98, with a machine made blade. 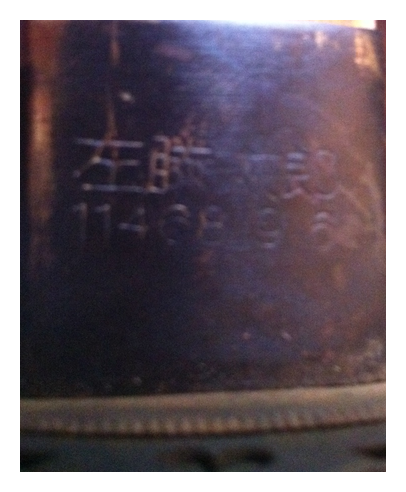 I believe it to be a fake simply because of the serial number stamped into the habaki. 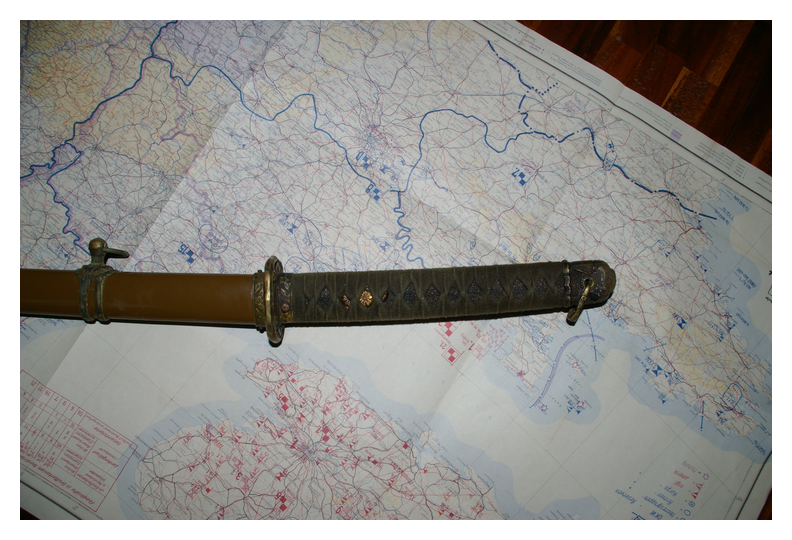 I have been told that the Japanese only stamped the serial number into the blade unless it is a Type-95, which this is not.